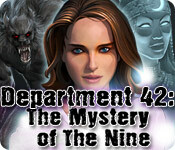 Department 42: The Mystery of the Nine is rated 3.2 out of 5 by 22. Rated 5 out of 5 by Scobeaux from High Quality Fun Pluses: Excellent graphics, non-intrusive music that changed with the different quests, HOS very well-done (and if a scene was repeated (which was rare), the objects already found did NOT reappear - thank you, developers!! ), entertaining story-line for a game of this type, mini-games of varying degreee of difficulty (see below) that were a bit out of the ordinary, good length. All these pluses make the game eminently replayable, not always the case for this kind of game. Plus, once a HOS or a mini-game is completed, it becomes playable on its own. Minuses: Two of the mini-games (in particular, the last one) were pretty tough, at least for me. However, they were skippable and also there is a good walkthrough available. Likewise, a few (maybe 5 total) of the hidden objects were EXTREMELY hard to find (but you could always use a hint). And finally, as is sometimes the case when non-native speakers design the HOS, a few (a maximum of five in the whole game) of the objects had names that were not familiar to a US person (but I had no trouble figuring them out, and the narative was perfectly fine in terms of the translation). I am only mentioning these minuses because they might bother some people but they in no way detracted from the game for me. Rated 4 out of 5 by upsysydaisy from Another Female Heroine Saves The World Lots of brave, intelligent females in the world today. Thank goodness for all the BF gamers! What would we do without them?? An interesting little storyline with a decent amount of challenge. It was fun but not very long even with its number of tasks with each case. I don't remember how I acquired the game but after playing it, I would be inclined today to purchase with coupon. Not a bad game. I recommend if looking for something more relaxing with a different kind of story attached. Rated 4 out of 5 by SleepsWithCats from Good, solid hidden object puzzle adventure game Great graphics and sound,and an entertaining plot refreshingly free of the hokey, drippy supernatural themes that mar a lot of HOPAs. This would be a five-star game for me if it weren't for the fact that the game only recognises left mouse button clicks. As a left-handed player who plays with mouse buttons reversed, I find having to click with the "wrong" mouse button really annoying and distracting. As an emerging game developer, I view this problem as kind of a shoddy oversight. 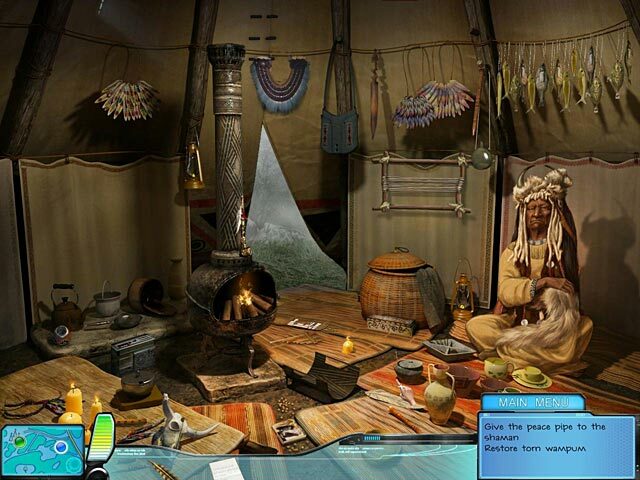 Rated 4 out of 5 by pennmom36 from Department 42: The Mystery of the Nine I have to give credit when credit is due, this game has unique, out of the box thinking, features which makes it just different enough to stand apart from the hundreds of hidden object adventure games available. You are Alice Wright, a 28 year old Lieutenant who works for Department 42. Your agency investigates paranormal phenomena, in a previous investigation, several artifacts were found that were as powerful as they were cursed, and the Agency hid those artifacts in the Grimstone Manor. Four months ago, the Manor was burned to the ground, and the artifacts have been stolen! These artifacts must be recovered before they cause cataclysmic damage, starting with the Fang of the Packleader, which can turn an ordinary man into a beast, a werewolf! You can use the map located to the left of the screen to quickly travel between locations, if the indicator is green, you have current tasks available there and blue indicates that there are no current tasks in that location. Each location has it's own set of tasks that are listed on the right of the screen such as find a way to open the fridge or find the hidden niche and find a way to open it. Most of the items you need to complete that location's tasks are within that location. 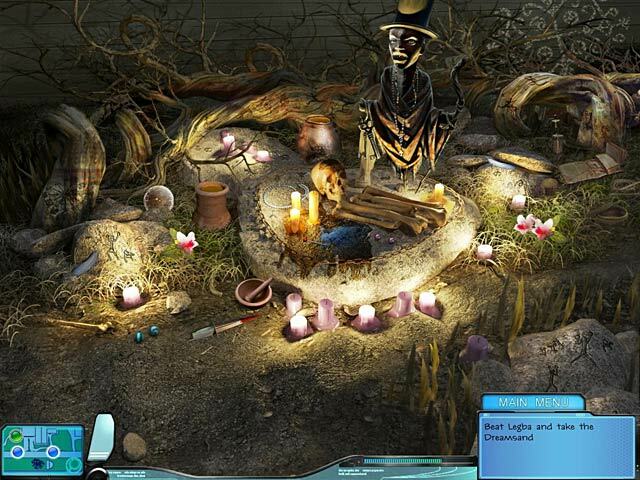 Each scene has a Hidden Object Scene, which are extremely well done. Trust me, even if you're a seasoned veteran of HO's like myself, you will have to spend some time looking for many of the items. They aren't difficult to find because of poor graphics or unrealistic sizes, they are just plain and simply blended and hidden very well, bravo devs for this welcomed challenge! I absolutely loved the mini game where you had to decipher a message written as a code with various symbols. The letters of the alphabet are at the top of the screen, and there are two pictures in the middle, a werewolf and a moon, the words are written with symbols, the letters C,U and S are already deciphered for you. First you click on the letters spelling moon and werewolf and match those letters with the symbols that are shown for those clues, then the message starts to take on more meaning now that some of the letters have been revealed and you guess at the rest of the letters until the message makes sense. I thought it was a creative and entertaining game. This edition also has a feature that will allow you to replay any puzzle or Hidden Object Scene that you have completed in the main game, enjoy! Rated 4 out of 5 by rosekaufmann from DEPT 42 STORYLINE: Dept. 42 is a paranormal agency that investigates signs of evil by dark magic threatening people. The evil artifacts have been housed in a secure mansion. But it has burned and scattered the artifacts around the world. You go in search of them so the world can once again be safe. GAMEPLAY: is straightforward. A wide variety of cases (9) cases to solve. The end of each case is a natural breaking point. You have a task list to guide you to the next steps. Game is lengthy enough that you won’t want to solve all 9 at one sitting, even though none of the cases is very long (35-50 minutes). You can replay the HOS and mini-games after you’ve finished playing the game. THE REST: Nice blend of adventure and HOS. Artwork is drab, antiqued, and handdrawn, with objects blended into the background too well. I have a 27” screen and had trouble finding items; they were hard to differentiate when the background area is the same color scheme. You have to have the tip of your cursor (a finger) on an item to collect it. I took off 1 star for the difficulty of the HOS. HOS should be challenging but not make one frustrated and blind trying to find objects - and the hint is very slow to recharge. It could be a 4 1/2 star if things were more findable. Music is apropos for each case (ex: Indian music while investigating a case on a reservation). A nice game to fill your idle time. Rated 4 out of 5 by OldLady12 from Great Game! This is a great game! You are searching for missing artifacts that cause strange things to happen to the people that possess them. The story line has many mini stories as you track down these artifacts. As the demo finished, I had only collected one of the 7 artifacts and was working on the second. Based on this, the game may have a long play time. The graphics and sound are good. 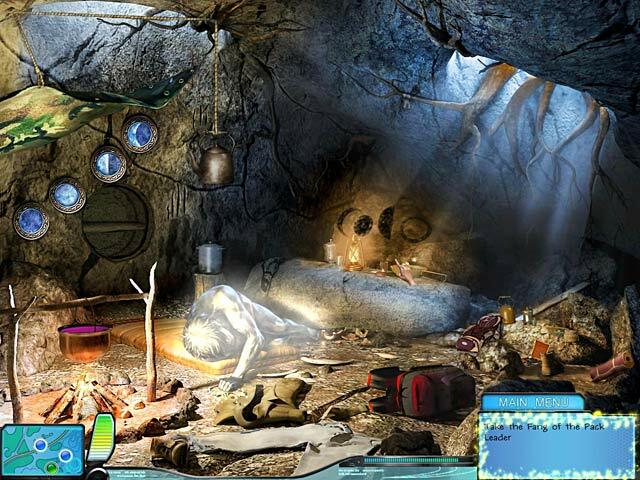 There are many hidden object scenes and mini games. Some are easy and some a bit of a challenge. This will be a great Daily Deal purchase for our ever growing collection of games from Big Fish. Help Department 42 collect nine mysterious and evil artifacts and protect the world! Stop pure evil and save the day!